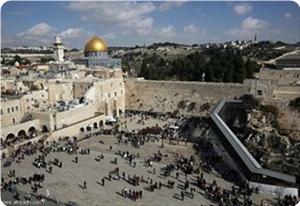 Russia has condemned the Israeli regime's plan to build 1,500 new illegal settler units in East al-Quds (Jerusalem). "Israel has announced its plans to build 1,500 homes in the Ramat Shlomo housing development in East Jerusalem and on the West Bank of the Jordan River. One cannot help but be seriously concerned over these plans and their fulfillment," the Russian Foreign Ministry said on Thursday. "Russia and other members of the international community view as illegal and condemn the construction of homes on the Palestinian lands occupied by Israel in 1967, including East Jerusalem," the ministry added. According to a report by Israeli Army Radio, which was released early on Wednesday, Israeli Prime Minister Benjamin Netanyahu and Interior Minister Gideon Saar have approved the expansion of the illegal settler units in a settlement known as Ramat Shlomo in East al-Quds (Jerusalem). Also on Wednesday, the Israeli regime released 26 Palestinian prisoners as part of a deal for the resumption of the talks with the Palestinian Authority (PA). An Israeli official claimed last week that the move was linked to a deal with the PA in exchange for continued settlement construction in the occupied territories. The PA, however, has vehemently denied the allegation, saying the construction activities seriously threaten the talks that resumed in July after a three-year halt. The existence and continued expansion of the Israeli settlements in occupied Palestine has created a major obstacle for the efforts to establish peace in the Middle East. The Israeli regime has been under fire from the international community, including its own allies, over its expansionist policies. However, the Tel Aviv regime defies calls to abandon its illegal settlement activities. The European Union has condemned the Israeli regime's plan to build 1,500 new illegal settler units in East al-Quds (Jerusalem), saying the settlements were illegal under international law. "I would like to recall that, on 27 September, the Middle East Quartet called on all parties to refrain from actions that undermine trust or prejudge final status issues," EU's High Representative for Foreign Affairs and Security Policy Catherine Ashton said in a statement on Thursday. According to an Israeli Army Radio report early on Wednesday, Israeli Prime Minister Benjamin Netanyahu and Interior Minister Gideon Sa'ar have approved the expansion of the illegal settler units in a settlement known as Ramat Shlomo in East al-Quds (Jerusalem). 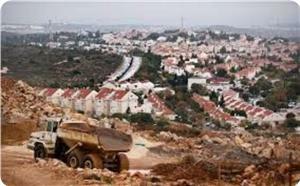 "The EU has repeatedly stated that settlements are illegal under international law. It has also called on Israel to end all settlement activity, including natural growth, and to dismantle outposts erected since March 2001,” Ashton noted, adding, "The EU deplores the recent settlement announcements." Israel has approved 3,500 new settler homes in the occupied East Jerusalem Al-Quds and the West Bank, a move that the EU said it "deplored", recalling that settlements were illegal under international law. The UN has voiced the same, and the PA has said Israel intends to wreck the so called peace talks. In this debate, we will discuss why this repeated scenario, along with Israel's illegal actions exercised on Palestinians on occupied lands continues, with impunity. Israel is planning to move ahead with another 3,360 new settler homes in the West Bank, Haaretz newspaper reported on Thursday, quoting an MP from the ruling right-wing Likud party. Israeli Prime Minister Benjamin "Netanyahu's government will begin advancing a series of construction plans in east Jerusalem and the West Bank to the tune of some 5,000 new housing units, in an effort to 'offset' the release of Palestinian prisoners earlier this week," the paper said. announced early on Wednesday immediately after Israel freed 26 long-serving prisoners in line with its commitments to US-backed peace talks. But the report also detailed plans for another 3,360 homes which are to be pushed through various stages of the planning process. Some are to be built in large settlement blocs Israel hopes to retain in any final peace deal, while others are slated for construction in isolated settlements deep in the occupied West Bank. The information was revealed by Ofir Akunis, an MP from Netanyahu's ruling Likud, the paper said. Akunis could not immediately be reached to confirm the details. 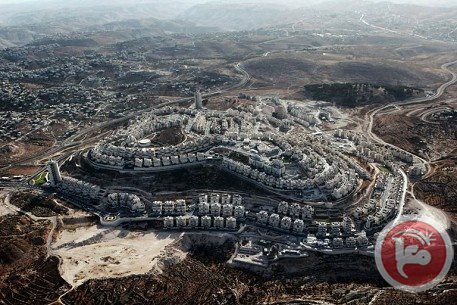 The report said the government would market land "for the immediate construction of 860 housing units in settlements in the major blocs" naming Ariel, Maaleh Adumim, Givat Zeev, Beitar Ilit, Kareni Shomron and Elkana. Plans for another 1,400 new homes in both the blocs and in isolated settlements will also be submitted to the planning division of the Civil Administration, which is responsible for West Bank construction permits. And plans for another 1,100 units, which have already advanced some way through the lengthy planning process, will also be pushed forward, the paper said, adding some were tabled for isolated settlements like Shiloh and Nokdim. Contacted by AFP, a senior government official appeared to confirm the report, although he did not cite specific numbers. "Only the 1,500 new housing units will be built," he said, referring to Wednesday's announcement about construction in the east Jerusalem settlement neighborhood of Ramat Shlomo. "All the rest of the numbers that were published in the last day are only relating to the planning process and not to actual construction." EU foreign policy chief Catherine Ashton on Thursday condemned Israel's decision to build 1,500 settler homes in East Jerusalem, calling on Israel to "end all settlement activity, including natural growth." PLO official Hanan Ashrawi also condemned the move, saying settlement expansion is "willfully and flagrantly violating international law and the requirements for peace." "The Israeli occupation is exposing its true intentions of creating ‘greater Israel’ rather than a two-state solution. The Israeli government has proven once again that it is not a partner for peace nor a member of the international community that respects the global rule of law." Foreign Minister Riyad al-Malki said that the PA is considering going to international courts to file complaints against new Israeli settlements. British Minister Hugh Robertson said in a statement that the UK regrets the recent decision to expand settlements, adding that "the UK has consistently condemned settlements, which are illegal under international law, undermine trust and threaten the viability of the two-state solution." Israel is currently engaged in direct peace talks with the PLO for the first time in three years, following intense pressure from Washington. The previous round of negotiations collapsed in September 2010 in a bitter dispute over Israel's ongoing construction on land seized and occupied in the 1967 Six Day War. The Palestinian Authority said on Wednesday that Israel’s plans to build 1,500 new settler homes in occupied east Jerusalem was destroying the peace process. The move “destroys the peace process and is a message to the international community that Israel is a country that does not respect international law,” Nabil Abu Rudeina, spokesman for Palestinian president Mahmud Abbas, said in a statement. Israeli Prime Minister Benjamin Netanyahu and his Interior Minister Gideon Sa’ar agreed to expedite four construction plans in occupied east Jerusalem in bid to provide a counterbalance to the release of 26 Palestinian prisoners. The Israeli Channel 10 television said that one of the plans involves the immediate approval for construction of 1,500 new housing units in the Ramat Shlomo settlement, to the north of Jerusalem. In addition, current owners of apartments in Ramat Shlomo would be allowed to expand their homes with another room to the size of 50 square-meters. 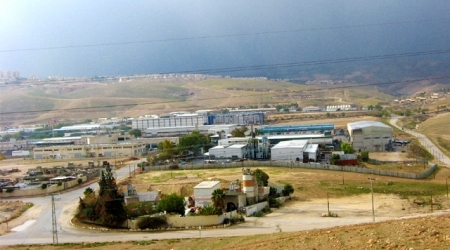 The Ramat Shlomo plan gained publicity when the Jerusalem’s District Planning and Building Committee discussed it in March 2010 during the visit to Israel of US Vice President Joe Biden. 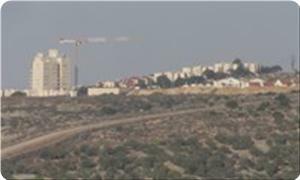 The US Administration has demanded at the time that Israel reverse the housing plan. The report said that during talks with Sa’ar, approval was also received for the establishment of a visitor’s center near the City of David National Park in the East Jerusalem’s neighborhood of Silwan. According to the report, Netanyahu said plans would also be advanced for the previously-halted construction of a national park on the slopes of Mount Scopus (Jabal Al-Masharif), which would block the expansion of Arab neighborhoods in the area. Eyewitnesses said that the Israeli occupation bulldozers are making roads for settlers inside and outside the settlements, destroying the lands in Salfit. Researcher in settlement expansion in the province Khaled Ma'aly said in a statement on Wednesday that the bypass roads in Salfit caused the confiscation of thousands of dunums of agricultural lands and the uprooting of thousands of trees, including olive trees. He pointed out that the most serious of these roads that have been previously constructed is the Trans-Samaria Highway (505). 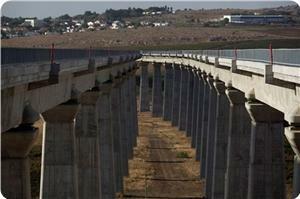 It extends a length of 20 km and 100 m wide, from Kafr Kassem to Za'atara roadblock. There is also the Trans-Samaria Road 5 which was constructed in 2000 as an alternative to Road 505 to be used by Israeli settlers connecting them with settlements inside the 1948 territories. This road extends at a length of 14 kilometers and 100 meters wide. He added that there are many other numbered ways inside and outside the settlements. 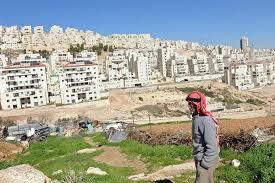 They constructed on the agricultural lands of Salfit, which has caused the agricultural sector big losses. The Israeli government has announced that it intends to build additional 1500 units for Jewish settlers in the illegal settlement of Ramat Shlomo, in occupied East Jerusalem. Abbas: “We never accepted the release of detainees in return for accepting Israel’s settlement activities”. The announcement came after Israel released 26 veteran Palestinian detainees, as part of diplomatic talks between Tel Aviv and the Palestinian Authority of President Mahmoud Abbas. Israeli Military Radio has reported that Prime Minister, Benjamin Netanyahu, and Interior Minister, Gideon Sa'ar, made the decision. The decision did not come as a surprise as Netanyahu and his coalition partners said that they would build more settlements in return for freeing Palestinian political prisoners, and alleged that President Mahmoud Abbas agreed to this formula. It also comes to appease his fundamentalist coalition partners who are angered by the release of the veteran detainees. 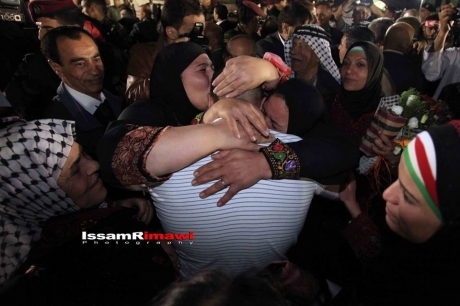 Welcoming the released detainees in the central West Bank city of Ramallah, Abbas said that the claims and allegations that the Palestinian Authority accepted the release in return for not objecting to Israeli settlement activities, are false, and have no grounds. “Settlements are illegitimate”, Abbas said, “Settlements are violations of International Law”. 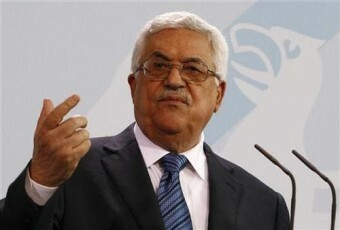 Abbas also said that the P.A would continue to act on all levels to secure the release of every detainee held by Israel. “There will never no agreements while even a single detainee is behind bars”, Abbas said, “We are determined to achieve this noble goal”. The World Zionist Organization’s settlement department, which is financed through Israeli budgets, has transferred more than NIS 1 million to the settlement movement Amana over the past four years. The funds have been used to operate a call center for people interested in purchasing housing in the occupied territories, including apartments that were built illegally, Harretz reported. Amana, the settlement branch of the Yesha Council, is headed by Ze'ev ("Zambish") Hever. It operates a subsidiary company that constructs hundreds of housing units across the West Bank every year, including extensive and illegal operations in unauthorized outposts. Amana operates a call center that gives every caller details about potential purchases. The organization deliberately obscures any distinction between legal and illegal construction, and distributes a wealth of information on units that were built without permits. In June, Haaretz reported that the budget of the WZO's settlement department keeps growing every year. 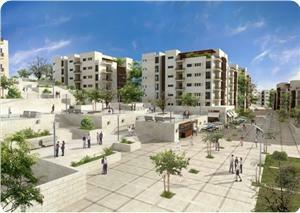 In 2012, it grew from NIS 60 million to NIS 272 million. In a report investigating the illegal outposts, written in 2005, attorney Talia Sasson found many flaws in the department's operations. Among other things, Sasson found that the department had financed illegal construction for many years in various locations. Following that report, then Attorney General Menachem Mazuz issued directives forbidding the transfer of public funds to finance illegal construction. Nevertheless, Haaretz discovered that the settlement department at the WZO illegally transferred funds for infrastructure work, which was carried out last year at the settlement of Negohot. Amana and the World Zionist Organization's settlement department refused to comment. The Israeli occupation authority (IOA) built new housing units in Negohot settlement established on Palestinian land south of Al-Khalil. Eyewitnesses told the PIC on Tuesday that construction works were ongoing in the southern and western areas of Negohot. They said that the expansion work included the building of ten new housing units. 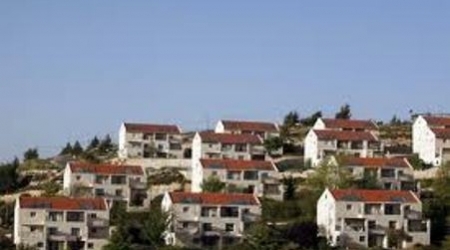 The IOA recently endorsed the establishment of 850 new housing units in West Bank settlements, mostly in Al-Khalil governorate, especially after the re-launch of PA-Israeli negotiations, which served as a cover for expanding settlement activity. The Israeli ministry of construction and housing revealed that it was planning to build five new settlements in the Negev area between Beersheba and Dimona. The ministry said on Monday that the plan would be tabled with the government within the few coming days for endorsement. It said that the plan falls in line with a bigger scheme to upgrade districts, noting that the five settlements were named although the government did not yet endorse the plan. The Israeli parliament has passed the Prawer law in its first reading stipulating, among other things, the displacement of 40,000 Arab Bedouins from the Negev, the demolition of dozens of Arab villages, and the confiscation of 800,000 dunums of Arab land. Al-Aqsa Foundation for Endowments and Heritage revealed that there is an Israeli plan to turn a historic Islamic archaeological site in the vicinity of the Aqsa Mosque into Jewish ritual baths for women. The Foundation considered, in a statement on Sunday, this plan a blatant assault on Al-Aqsa mosque and on the ancient Islamic monuments and said it aims to Judaize the Mosque. It added that according to Israeli press sources MK Aliza Lavie from the Yesh Atid party promised during the meeting held recently in the Knesset, to work on the restoration of a site nearby the Aqsa and turn it into Jewish ritual baths to serve religious Jewish women, at the request of "Women for Temple" organization. Al-Aqsa Foundation noted that this new plan is likely to be implemented either in the south-western side of the Aqsa Mosque near the Magharba gate or in the western side of the Buraq area. Meanwhile, the Israeli occupation forces accompanied by the Jerusalem municipality staff stormed the town of Silwan, adjacent to the Al-Aqsa Mosque, and distributed demolition notifications to four houses and a grocery store in the neighborhood of Wadi Hilweh, under the pretext of building without licenses. Wadi Hilweh Information Center in Silwan said in a statement on Sunday that the Israeli municipality staff handed five demolition notices to a number of Jerusalemite families. The families that received the demolish orders are the Siam, Ghaith, al-Taweel, and Eweda families. The center pointed that the houses of Ghaith and Siam families were built in the 1990s and are inhabited by 14 people. The Israeli municipality staff also handed a demolition order to an under-construction site that belongs to the Eweda family. The house is 75 square meters wide. Israeli forces also raided the house of Jawad Siam, the director of the Wadi al-Hilweh Information Center, and handed him a stop-work order. His house is 70 square meters, and it was built in 1952. The family repaired the roof of the house because water leaks inside during the winter, he says. Jerusalem municipality staff also placed a demolition order on a building that belongs to Qaraen family. The house consists of three apartments inhabited by 13 people, including 5 children. It was built in 1998. Israeli forces imposed expensive penalties on Qaraen family, who tried to apply for a license, but all their attempts failed. The municipal crews took photos of several houses in Wadi Hilweh, as well as the entrances and exits of neighborhoods. 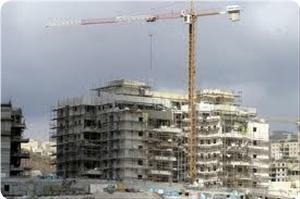 Hebrew daily Maariv said on Sunday that the Israeli government would soon issue tenders for the construction of 1,700 new housing units in occupied Jerusalem and the West Bank. The paper said that 200 of those units would be built in the West Bank while the rest would be built in Shlomo settlement built on Palestinian land to the east of occupied Jerusalem. Israeli officials declared that releasing Palestinians prisoners as part of the deal for the resumption of PA-Israeli talks would be also coupled with the building of new housing units inside those settlements. The paper said that the government’s position ran contrary to the wishes of the American administration, adding that officials in Fatah faction, which controls the PA in Ramallah, had denied an agreement was concluded stipulating that the release of prisoners would be coupled with construction in settlements. 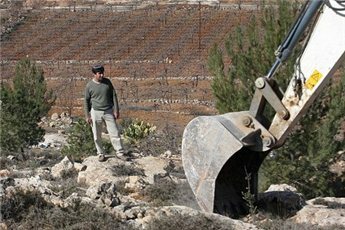 Israeli bulldozers razed Palestinian agricultural lands in the village of Jalud south of Nablus on Sunday morning, a Palestinian official said. Ghassan Daghlas, who monitors settler activities in the northern West Bank, said that Israeli forces bulldozed the land due to their proximity to the two Israeli settlements of Shiloh and Shvut Rachel. Settlers had been bulldozing lands in the Ras Mwaies area south of Jalud village since the early morning, Daghlas said. The Israeli forces plan to expand the nearby Israeli settlements on the destroyed Palestinian fields, he added. The razed lands belong to the Palestinian villagers of Tawfiq Abdullah al-Haj Mohammad as well as Mohammad and Ahmad Abed al-Rahim Hajj Mohammad. Jewish settlers in Ariel settlement built on Palestinian land in Salfit province have built new huge housing units on farming land owned by Palestinians. Eyewitnesses said that construction work has been seen inside the settlement of several multi-story buildings that would accommodate more settlers. The settlement is currently inhabited by 23,000 settlers. Researcher and journalist Khaled al-Ma’ale said that settlers were building a big building near Ariel university, adding that 12,000 Israeli students were enrolled in that university. 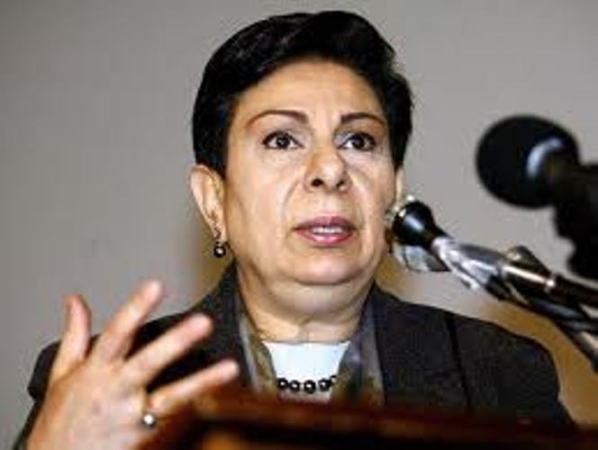 PLO Executive Committee member, Dr. Hanan Ashrawi, vehemently condemns Israeli reports that with every group of prisoners released, the Israeli government would issue permits for more settlement units, PLO's Department of Culture and Information said in a press release on Friday. "Such reports are fabricated and malicious; the Palestinian side never agreed to such an exchange; on the contrary, Palestinian prisoners should have been released in compliance with earlier signed agreements." said Ashrawi, "The only linkage with the release of prisoners that the President approved is in delaying the pursuit of UN membership in international agencies and organizations." Dr. Ashrawi stressed, "It is evident that this extremist Israeli coalition government is attempting to sell internal deals at the expense of Palestinian rights and strategic requirements for peace. All settlements are illegal despite their location and Israeli specifications. We will not be made to pay the price of domestic Israeli political manipulation and coalition politics." "Once again Israel must cease and desist from violating international law and the requirements of peace," concluded Dr. Ashrawi. Israeli sources have reported that the Israeli Housing Ministry is planning to issue tenders for the construction of hundreds of units in Jewish settlements in the occupied West Bank, this coming week. Israeli daily, Haaretz, quoted a government official stating that the announcement of the bids will take place as Israeli releases 25 Palestinian political prisoners, part of the second stage of detainees’ release to boost direct talks with the Palestinians. 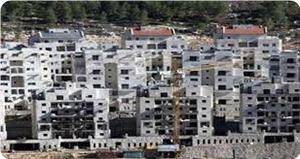 The new constructions will be in major settlement blocks in the occupied West Bank, and in occupied East Jerusalem. Haaretz said that the official claimed that the understandings, mediated by the United States, leading to the resumption of direct peace talks with the Palestinians, “did not include any commitment from Tel Aviv to freeze settlement construction activities”. It added that, during their Wednesday meeting in Rome, Israeli Prime Minister, Benjamin Netanyahu, informed U.S. Secretary of State, John Kerry, of the new Israeli construction plan. Kerry also informed the Palestinians of the Israeli decision. According to the paper, Netanyahu is trying to appease the settlers, especially right-wingers, as they will be holding massive protests against the release of Palestinian political prisoners. Furthermore, Israeli Deputy Defense Minister, Danny Dannon, sent a letter to Israeli ministers asking them to oppose the release of the detainees. An Israeli government official said that Netanyahu intends to go ahead with the release of the detainees as planned, as the understanding reached with the Palestinians obliges Tel Aviv to release 104 detainees, held since before the first Oslo Agreement of 1993, on four stages. The first stage, conducted on August 14, included the release of 26 veteran detainees, the second stage is planned to be conducted on October 29, while the third state is planned for December 29 and the fourth on March 28 2014. The Israeli cabinet will be holding a session this coming Sunday to approve the names of detainees who would be released, before publishing the list to grant the public 48 hours to file petitions to the High Court. The actual release is scheduled to be conducted Tuesday. In previous cases of prisoners release, the Israeli High Court rejected all appeals, and said that it does not interfere with decisions made Israel’s political leaders. Israel’s settlement activities in the occupied West Bank, and in occupied East Jerusalem as illegal and violate International Law. Israel repeatedly doubled and tripled its settlement activities to appease right wing extremists who protest the release of political prisoners, and protest the demolition and removal of illegal settlement outposts built on private Palestinian property. An Israeli minister has called for the construction of more settlement units in the occupied West Bank city of al-Khalil (Hebron). On Thursday, Uri Ariel said that he backs "concrete plans for the construction of 100 (new) homes in Hevron." "The land for this exists, and we're preparing the (building) project. We hope that during the coming year we can begin to build," he added. This is while acting Palestinian Authority (PA) chief Mahmoud Abbas, at a meeting with European Council President Herman Van Rompuy in the Belgian capital of Brussels on Wednesday, called on Western companies to pull out of the settlements and put an end to their activities in the occupied West Bank. "This call is directed against settlements that were established on the territories of the occupied State of Palestine and its capital, East al-Quds, after 1967," he stated. More than half a million Israelis live in over 120 illegal settlements built since Israel's occupation of the Palestinian territories of the West Bank and East al-Quds in 1967. The United Nations and most countries regard the Israeli settlements as illegal because the territories were captured by Israel in a war in 1967 and are thus subject to the Geneva Conventions, which forbids construction on occupied lands. 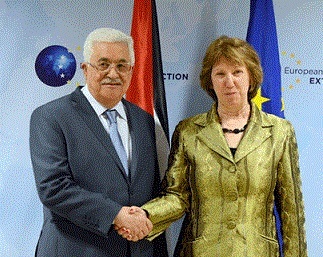 Palestinian President, Mahmoud Abbas, held on Thursday a meeting with EU Foreign Policy Chief, Catherine Ashton, in Brussels, and discussed the political process, and the EU decision regarding products of Israeli settlements. Abbas presented the obstacles peace talks face amidst ongoing Israeli violations, and its illegal construction and expansion of settlements in occupied Palestine. Abbas said that the decisions of the EU comply with International Law, and international legitimacy. Besides Abbas, the Palestinian side was represented by member of the Executive Committee of the Palestinian Liberation Organization (PLO), Dr. Saeb Erekat, Foreign Minister, Riyadh Al-Mailky, Presidency spokesperson, Nabil Abu Rodeina, Abbas’s adviser of diplomatic affairs, Majdy Al-Khaledy, and Palestinian Ambassador to the UN, Laila Shahid. The Palestinian President stressed on the importance of implementing the guidelines approved by the EU regarding products made in Israeli settlements. The decision came in form of guidelines that deny EU funding and support to all firms and entities operating in Israeli settlements in the occupied West Bank. The EU decided that, starting on January 2014, EU funding would no longer include entities operating in Israeli settlements in the occupied Palestinian territories, and that the EU makes a distinction between products made in Israel, and products made in its illegal settlements. The guidelines, published back in July, affirmed the European stance regarding Israel’s settlements, and stating that EU bilateral relations and cooperation, and all bilateral agreements with Israel, do not include its settlements built in the West Bank that fell under occupation in June 1967. Despite the international outcry for a stop to all settlement activities, Israel says it will stick to its plans to build more units in occupied Palestinian territories. Israel is set to announce plans to expand settlement activities in the West Bank and East Jerusalem al-Quds in upcoming months. Political commentators say the move will appease Israeli hardliners opposed to talks with Palestinians. There has been no immediate reaction to the news from Palestinians. All Israeli settlements built on occupied Palestinian land are considered illegal under international law. Palestinian President, Mahmoud Abbas, called on companies in the European Union countries, and other foreign corporations operating in Israeli settlements in the occupied West Bank, and occupied Jerusalem, to abide by International Law by divesting from Israeli settlements. His statements came during his Wednesday meeting with the President of the European Council Herman Van Rompuy, in Brussels. He said that it is essential that the European Union implement its procedures regarding Israeli settlement products starting at the beginning of 2014. The Palestinian President said that those measures do not target Israel but are against its illegal occupation of Palestine, and its illegal settlement activities. He added that the Palestinians want to be able to live in peace next to Israel, and build solid bridges of peace after Israel ends it illegal occupation and its illegitimate settlement activities. Abbas said that the Palestinian Authority appreciates the political stances of the EU, and its decisions that comply with International Law, especially those regarding the illegitimacy of Israel’s settlements in occupied Palestine. He also said that he appreciates the EU stances regarding East Jerusalem being part of the occupied territories, and the capital of the anticipated Palestinian State. The President further stated that the EU has been providing political and economic support to the Palestinian Authority so that it can build strong institutions and infrastructure. Addressing the Israeli leadership, Abbas said that Tel Aviv must stop all of its violations, invasions and assaults, and that, despite Israel’s violations and the strangulation of the Palestinian economy, the Palestinian Authority is committed to the timetable set by U.S. Secretary of State, John Kerry, regarding reaching a peace agreement after nine months of talks. He said that the P.A. is working closely with President Barack Obama, and Kerry, to ensure the success of peace talks, and reach an agreement that leads to a two-state solution living in peace, and added that should those efforts fail; the region, and the world, will witness serious instability and insecurity. The Israeli occupation authorities (IOA) are planning the construction of a new railway line that would extend from the entrance of Jerusalem into the Old City. Israeli financial daily “Globes” said on Wednesday that the Israeli ministry of transportation would launch the project in cooperation with Israel Railways and the municipality of Jerusalem. It said that the railway would include the building of an underground station in the historical Mamunulla Islamic graveyard, adding that it would cost around 700,000 dollars. Globes said that the plan is part of the bigger speed train Israel was building from Tel Aviv to Jerusalem to the tune of two billion dollars, adding that the project is scheduled to be completed by 2018. European Union rotating president Lithuania called Monday for Israel to stop building settlements in the occupied West Bank, saying they were impeding the peace process. The statement followed talks between Lithuanian President Dalia Grybauskaite and visiting Palestinian president Mahmud Abbas. Grybauskaite called on Israel "to end the expansion of settlements in the occupied territories," insisting that "the European Union does not recognize settlements as part of Israel." "Such actions by Israel impair the progress of peace talks," she said in an official statement published on her website. Construction starts in Jewish settlements on occupied Palestinian land rose by 70 percent year-on-year in the first half of 2013, anti-settlement group Peace Now said last week. Settlement building in the territories occupied by Israel during the 1967 Six Day War is considered illegal under international law, and the issue remains one of the most divisive in the Israeli-Palestinian conflict. Abbas has previously termed them "illegal" and asked the Israeli government to stop. 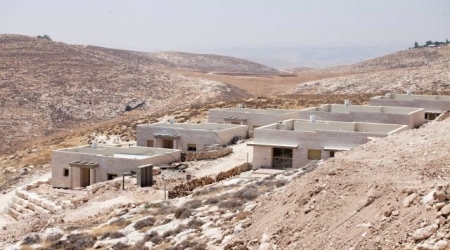 The Israeli occupation authorities (IOA) continued on Monday building new housing units in the northern areas of Tikwa settlement to the east of Bethlehem city. Eyewitnesses told the PIC that construction work was ongoing in more than 30 housing units north of the settlement, which is adjacent to the main road linking eastern Bethlehem to Al-Khalil. 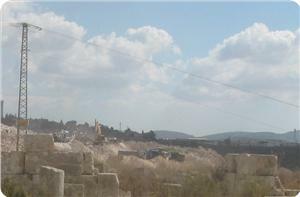 They pointed to acceleration in the construction work as dozens of trucks carrying cement and other construction materials are daily seen heading to the settlement. The witnesses said that the construction was going on in a block of houses that look like a new suburb being built in the settlement.